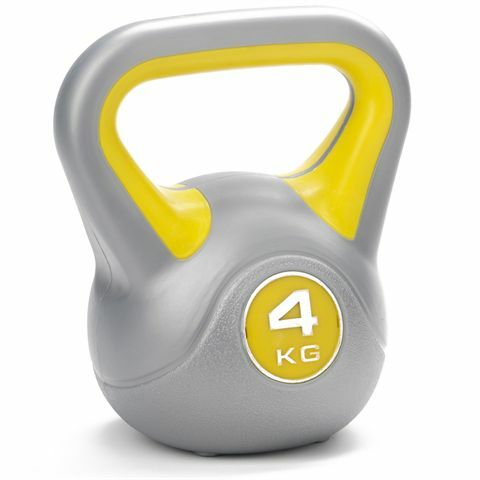 The York 4kg Vinyl Kettlebell is great for developing your functional strength, power, endurance, muscle tone, core stability and balance whilst increasing calorie burn. 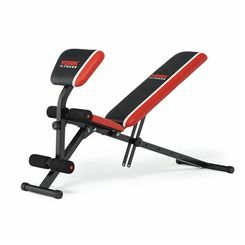 The total workout tool! 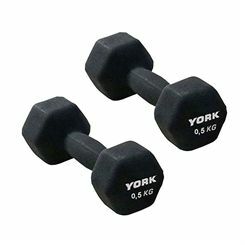 The York 7.5kg (16.5lbs) rubber hex dumbbell is perfect for the athletes who want to gain more strength and tone their muscles. 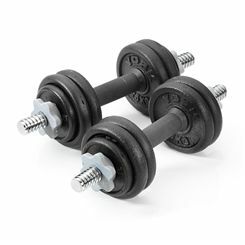 It has a chrome plated knurled steel handle to provide a secure and comfortable grip, as well as an anti-roll design that stops the dumbbell from rolling away. 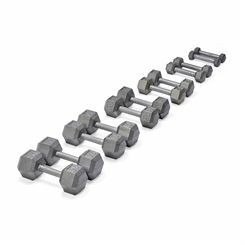 The torque threaded rubber heads guarantee permanent fixing to the handle, while the rubber coating helps to protect surrounding equipment and diminish the noise. 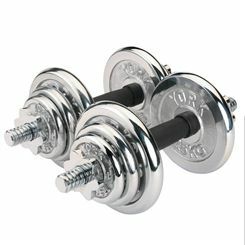 In addition, the product is easy to clean and it is sold individually. 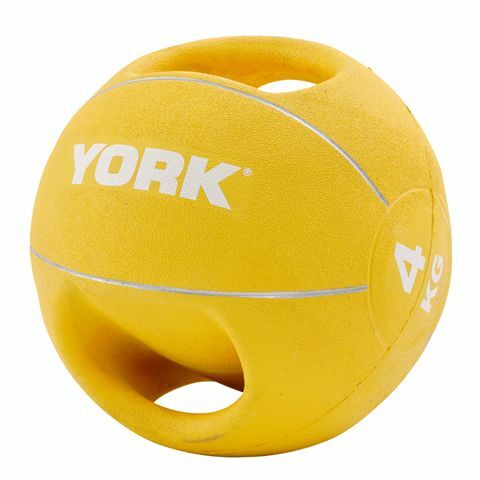 The York 4kg (8.8lbs) double grip medicine ball improves hand-eye co-ordination, agility and core muscle strength to help the body operate efficiently and avoid injury. 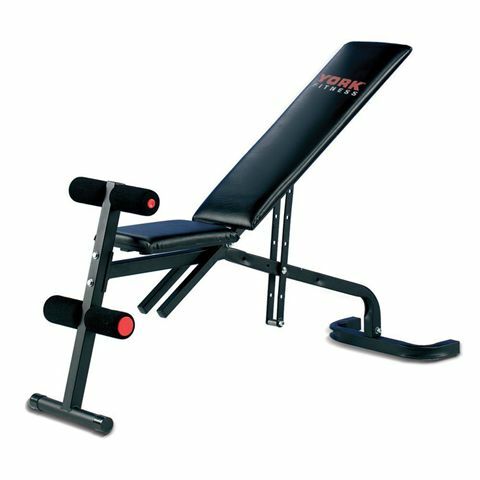 This great rehabilitation and strength training tool is manufactured from a durable rubber compound material and has dual handles for added comfort. 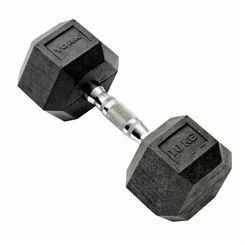 It is easy to clean and features a textured surface for a firm, anti-slip grip ensuring safe and effective workouts. 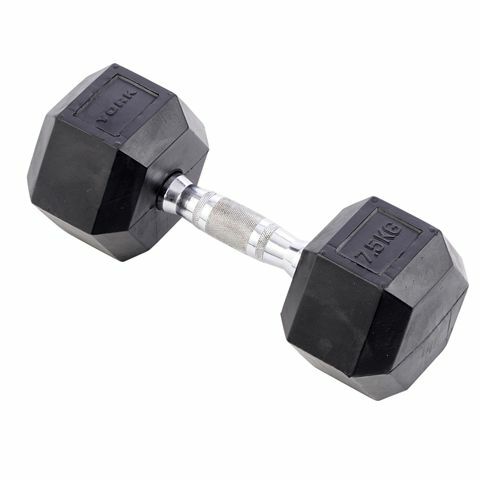 The ball is perfect for exercises such as medicine ball push-ups, circle squats, step jumps, reaching Romanian deadlifts, rock and roll ups and shoulder presses. 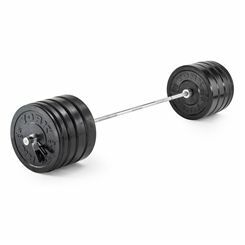 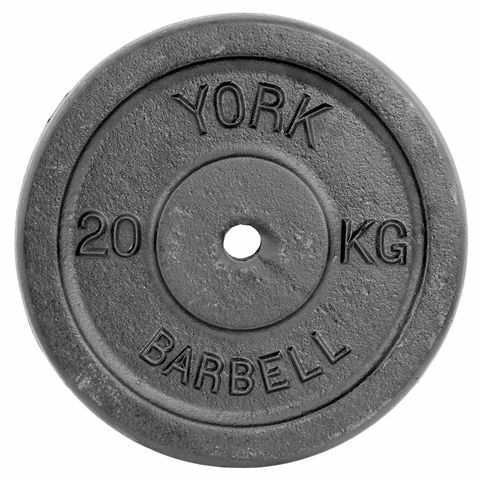 The York 20kg (44lbs) black cast iron 1-inch plate is manufactured to the highest standards. 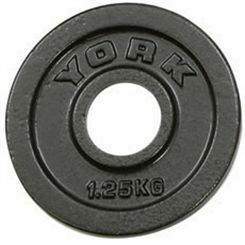 The plate has a 1 inch in diameter hole and a large York logo with weight indication engraved on the side. 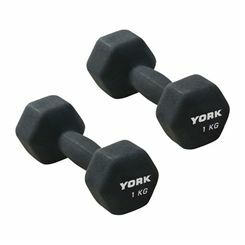 We stock a huge range of York strength training equipment. 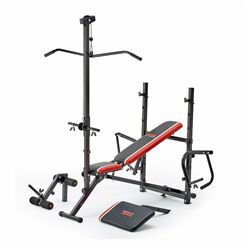 Here you'll find weight benches, barbells, dumbells, storage racks, multi gyms, kettle bells and much more at incredibly low prices. 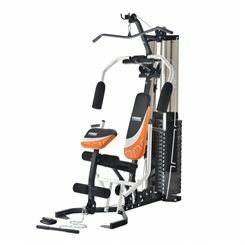 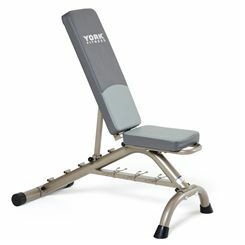 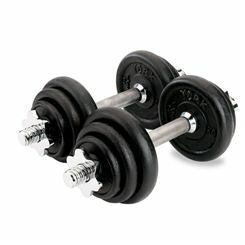 All York strength training equipment is available for fast and free UK delivery. 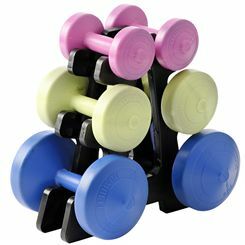 Great value, great service at Sweatband.com.